Amazon’s Echo devices are already pretty capable as they are, but with the addition of skills, users are able to add features that are not part of the standard Alexa setup. Those skills are normally put together by either companies or like-minded individuals who know their way around a programming language or at least have more know-how than the average bear. That’s always been a barrier to entry for those wanting to build their very own skills, but now Amazon has a solution. Welcome to Skill Blueprints. Accessible via blueprints.amazon.com and currently only available to those who have their Echo devices set up for US English as of right now, blueprints are a new way to create Alexa skills that do not require any real knowledge of how to build apps. In fact, building skills will be immediately familiar to anyone who uses services such as IFTTT or Zapier, with templates available for all kinds of scenarios. These templates can then be edited for particular use-cases before being pushed out to a user’s Amazon account and thus their Echo devices. One example of this is a skill designed for babysitters, with users able to fill in fields for all manner of things like medications that may be required, or allergies that sitters need to be aware of. 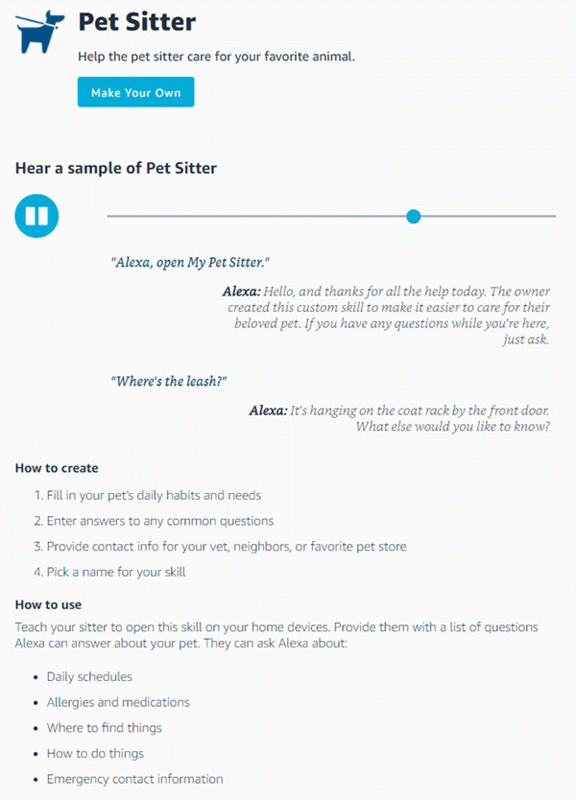 The skill allows a babysitter to ask Alexa simple questions and receive answers that would not normally be available, just like any other skill. There is plenty there to play with right now, although Amazon does not give you as much control as you may like. 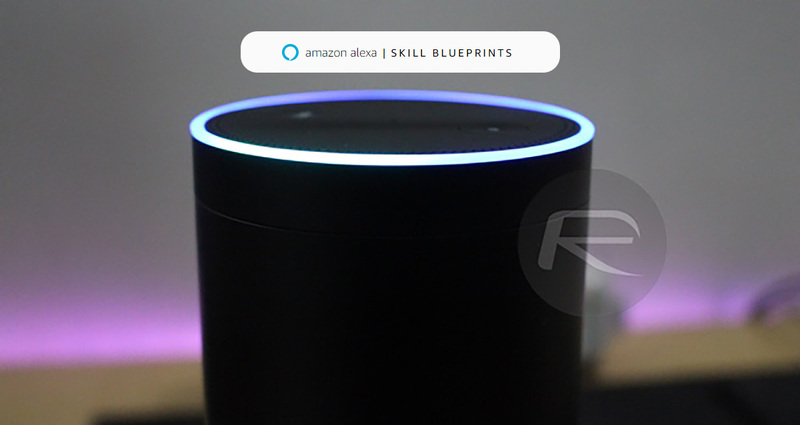 Skills can only present standard text-based responses for Alexa to relay, so no playing music etc as part of a blueprint skill, unfortunately. Limitations aside, this is an important step for Alexa and one that Amazon should arguably have taken before now. Expect blueprints to grow, too, with more wriggle room given to those who want to create more, increasingly complicated skills in time.